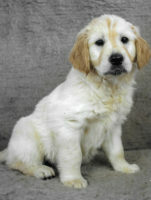 Over the past couple of years we have been raising money to name a guide dog. Thanks to everyone’s generosity and a lot of hard work we have now raised the £5,000 that enables us to choose a name for this lovely dog … and Barney seemed an obvious choice! We will regularly update this page with the latest information on Barney. Come back from time to time to follow his progress. Last year Gravelly Barn sponsored a Hero Rat called Magawa after Jane and Chris travelled to Cambodia. 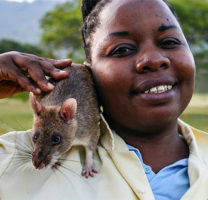 This amazing rat helps to clear mines and explosives from vast areas of the country that have, and continue, to kill and maim thousands of people in this poor country. 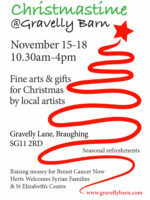 What better way to use some of the thousands of pounds raised here at Gravelly Barn than to help those less fortunate than ourselves. Millions of people throughout the world do not have access to a clean, functioning toilet so we are delighted to sponsor one in the Republic of Congo.